Paul Kruger is a partner in Katten's Structured Finance and Securitization practice. He has more than 25 years of experience providing advice to financial institutions, sovereign wealth funds, private equity investors, funds and corporations on transactions across the United States, Asia, Europe and the Middle East. Prior to joining Katten, Paul was based at various times in New York, Abu Dhabi, Hong Kong and Tokyo. Paul was at the forefront of the development of the securitization market in Asia in the early 1990s and since then has led more than 100 transactions in Asia, the United States, Europe and elsewhere. His securitization experience encompasses multiple asset classes, including commercial real estate, credit cards, auto loans, railcars, trade finance assets and trade receivables, infrastructure assets and non-performing and performing loans, on both a cash and synthetic basis. Paul has represented clients on a broad range of financing transactions, including project financings, acquisition financings, syndicated and bilateral loans and other capital raisings, the structuring of supply chain platforms and the execution of transactions under these platforms, the structuring and execution of various balance sheet and liquidity optimization programs, and the acquisition and disposal of portfolios of non-performing and performing loans. He also has significant private equity acquisition and financing experience, including representing clients in the acquisition of both corporate entities and assets, and the financing of these acquisitions through senior and mezzanine credit facilities and securitizations. 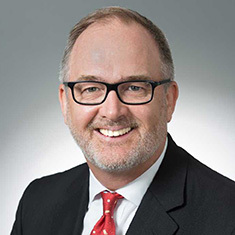 During his time in Abu Dhabi, Paul established a market-leading finance and Sovereign Wealth Fund practice, assisting leading sovereign and corporate entities with their financing and corporate requirements. This included executing multiple financing transactions for an Abu Dhabi government-related entity and leading the Dana Gas restructuring. Paul was consistently rated as a leading practitioner by the legal directories (with Tier I rankings) during his time in Asia. Chambers has listed Paul as an Expert Based Abroad for Capital Markets: Securitization and has also rated him as one of the top 100 lawyers in the world. Paul was the only lawyer recognized by Euroweek in the top 25 personalities in the Asia Pacific capital markets in its "15 years' Celebration of Excellence" edition. He was also the only lawyer in the group established by The Hong Kong Monetary Authority to comment on the secondary mortgage market in Hong Kong (the report prepared by this group led to the formation of the Hong Kong Mortgage Corporation). Provision of advice to Napier Park on its acquisition and financing of multiple portfolios of railcars and corporate entities, with financing through securitizations, senior and mezzanine loans and liquidity facilities. Provision of advice to Citibank and Santander on the establishment of the Trade MAPS Program and the US$1 billion inaugural issuance of securities thereunder. The Trade MAPS Program was the subject of considerable international press coverage and won “Structured Finance and Securitization Deal of the Year” at the 2014 IFLR Americas Awards. Provision of advice to the majority creditors on the US$1 billion restructuring of a sukuk issued by Dana Gas. The deal won “Restructuring Deal of the Year” at the 2013 IFLR Middle East Awards. Provision of advice to Citibank on the establishment of the CABS Program, under which notes, backed by pools of trade assets originated by various local branches and affiliates of Citibank, were issued. The deal won “Structured Finance and Securitization Deal of the Year” at the 2007 Asian Legal Business Awards. Provision of advice to Morgan Stanley on the structuring and underwriting of a JPY128.9 billion acquisition bond issued by Nuclear Energy Holdings. The deal won “IFR Yen Bond of the Year 2006”. Provision of advice to UBS Warburg and Deutsche Securities as lead managers on a US$367 million securitization of non-performing loans held by Korea Asset Management Corporation. This was the first international securitization of non-performing loans executed in reliance on the Korean ABS law. Provision of advice to HSBC and Citigroup on a HK$6 billion securitization of toll revenues generated by Hong Kong SAR Government-owned bridges and tunnels. This was the first transaction of its kind in Hong Kong, the first retail offering of a securitization in Asia, the first toll revenue securitization in Non-Japan Asia, the first securitization of sovereign assets in Asia and the first securitization listed on HKSE.